Sasu Tarkoma received his M.Sc. and Ph.D. degrees in Computer Science from the University of Helsinki, Department of Computer Science. He is a full professor at University of Helsinki, Department of Computer Science. He has managed and participated in national and international research projects at the University of Helsinki, Aalto University, and Helsinki Institute for Information Technology (HIIT). He has worked in the IT industry as a consultant and chief system architect as well as principal researcher and laboratory expert at Nokia Research Center. His interests include mobile computing, Internet technologies, and middleware. 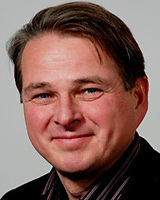 Jukka Corander is a Professor in the University of Helsinki. He received his PhD degree from Stockholm University in the year 2000. His PhD thesis was about Bayesian learning of graphical models. His scientific areas of interest include statistical genetics, bioinformatics, graphical models, stochastic simulation, machine learning, and theory of classification. Pan Hui is the Nokia Chair Professor in Data Science and Professor of Computer Science at the University of Helsinki. He is also the director of the HKUST-DT System and Media Lab at the Hong Kong University of Science and Technology. He received his PhD from the Computer Laboratory at University of Cambridge, and both his Bachelor and MPhil degrees from the University of Hong Kong. He was a senior research scientist and then a Distinguished Scientist for Telekom Innovation Laboratories (T-labs) Germany from 2008 to 2015 and an adjunct Professor of social computing and networking at Aalto University from 2012 to 2017. He has multiple European and US patents in the areas of augmented reality, data science, and mobile computing. 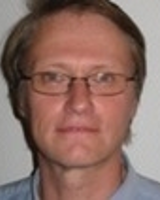 Markku Kojo is Principal Investigator and Senior Lecturer at the University of Helsinki, Department of Computer Science, where he leads the Wireless Internet reserch group. He has worked in the IT industry as a Network System Consultant. He has participated in several national and international research projects on mobile computing and communications and Internet protocols, from 1999 in leading roles. His research interests include future Internet protocols, mobile computing, wireless networking, distributed systems, and computer networks. He has published over 70 research articles in these areas and several contributions to the IETF. Matti Siekkinen obtained M.Sc. degrees in computer science from Helsinki University of Technology and from University of Nice Sophia-Antipolis in 2003 and Ph.D from Eurecom / University of Nice Sophia-Antipolis in 2006. 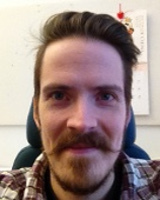 He is presently a researcher at Aalto University. He has co-authored over 50 peer-reviewed international publications on networking and mobile computing. He has managed and participated in national and international research projects at Aalto University and previously at University of Oslo. 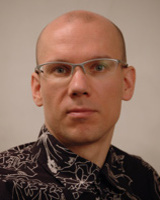 His current research focuses on mobile multimedia systems in which he combines techniques from multimedia computing, mobile networking, cloud computing, system analysis, data analytics, and HCI. 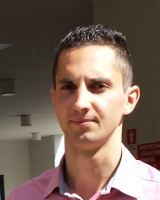 Matteo Pozza is a graduate student at the University of Helsinki. His current research interests include computer networks, wireless networks, and networking technologies. Currently, he is investigating on integrating disrupting networking paradigms in wireless scenarios. In particular, he is currently working on 4G and 5G networks, and how to apply technologies as SDN and NFV on them. He received a MSc and a BSc in Computer Science from the University of Padua. Seppo Hätönen is a graduate student at the University of Helsinki. His current research interests include computer networks, wireless networks and Software Defined Networking (SDN). Currently, he is investigating how SDN can be brought to the wireless networks, how network security can be augmented with SDN and how Internet of Things can benefit from SDN. He received a MSc and a BSc from the University of Helsinki. 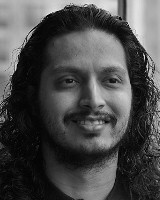 Ashwin Rao is a post-doctoral researcher at the University of Helsinki, Department of Computer Science. He completed his PhD at Inria Sophia-Antipolis, and prior to joining Inria he was a masters student at the Indian Institute of Technology Delhi. He has participated in national and international projects at IIT Delhi, Inria, and the University of Helsinki. His interests include distributed system, network science, and mobile systems. 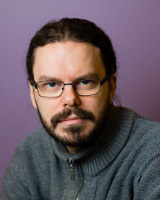 Antti Ylä-Jääski is a Professor of Computer Science at the Aalto University, and Deputy Head of the Department of Computer Science. 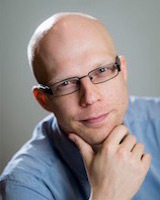 He is also affiliated with the Helsinki Institute for Information Technology HIIT and a member of the Helsinki Doctoral Education Network in Information and Communications Technology (HICT). He has published over 20 journal articles and book chapters and over 50 international conference articles after 2006. He holds several international patents approved while he was working with Nokia. 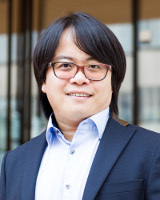 His research interests are mobile and distributed cloud computing, energy efficient communications and computing, mobile crowdsourcing, and Internet of Things. 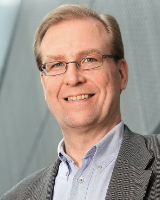 Eero Hyvönen is professor in the Semantic Computing Research Group at the Aalto University. Eero Hyvönen has published over 300 research articles and books. With the SeCo group, he has got several international and national awards, including the Semantic Web Challence Award, World Summit Award (WSA), and Apps4Finland. 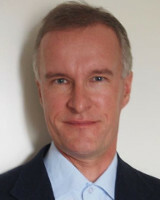 He acts in the editorial boards of Semantic Web - Interoperability, Usability, Applicability; Semantic Computing; International Journal of Metadata, Semantics, and Ontologies, and has co-chaired and acted in the programme committees of tens of major international conferences (ESWC, ISWC, IJCAI, ICSC etc.). 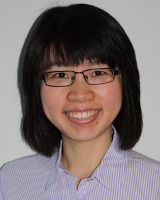 Yu Xiao is an assistant professor at Aalto University, Department of Communications and Networking. Her current work focuses on creating innovative mobile crowdsensing applications, and improving the scalability, performance and energy-efficiency of cloud-based mobile applications and services. She has published over 20 peer-reviewed articles in the field of mobile computing, and has won two best paper awards from international conferences. She receives a 3-year postdoc grant from Academy of Finland for her research on network performance analysis and optimization in cloud environment. Meanwhile, she contributes to a joint research project on scalable mobile crowdsensing, funded by Academy of Finland. 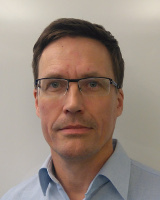 Kari Aaltonen is Senior Research Manager at Nokia Bell Labs, where his main responsibility areas are cognitive network management and orchestration. He received an MSc degree in Computer Science from the Department of Computer Science at University of Helsinki in 1988. He joined Nokia Research Center in 1987, where he worked in various research and research management positions, incl. Head of Mobile Networks Laboratory from 2001 to 2004. He was Competence Area Manager in IP Convergence in Nokia Research Center Between 2004 and 2006, and led the Network Research Platform in 2006-2007. He joined Nokia Siemens Networks - that later became Nokia Networks - in April 2007, and held the position of Head of Technology Area, Network Operations and Architectures, in 2007-2015. 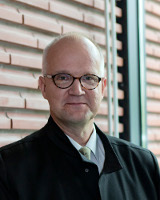 Vilho Räisänen holds Ph.D. degree in physics from Aalto university. He has been with Nokia since 1998, and areas of work in telecommunications include IP and cellular service quality, service management, and operability research. He has been granted more than a dozen unique patents, has written two books and acted as a co-editor in a further book. Hannu Flinck received his M.Sc. degree (1986) and Lic.Tech. degree (1993) in Computer Science and Communication Systems from Helsinki University of Technology, Finland. His current research agenda includes cloud technology, SDN and content delivery in mobile networks.